Get ready to get down! The whole house will be swinging and the drinks will be flowing with the Jazz Concert Drink Ticket. 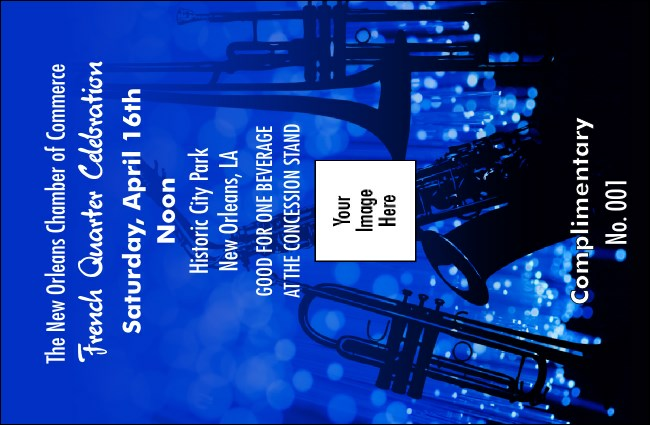 The ticket template features brass instruments against a brilliant blue background. Give your bartenders a break, and sell more drinks ahead of time. Hey, Daddy-o, don’t forget to check out the matching event kit at TicketPrinting.com.